wildflower, originally uploaded by pilgrimgirl. 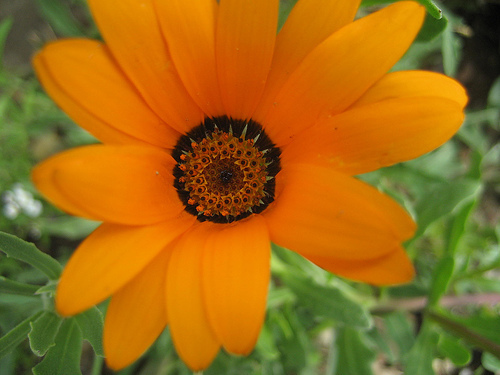 photo: orange daisy-like flower with dark mosaic center. Today they load the truck and she&Chris&Pete&Stinky are on their way north. We are looking forward to croquet and DDR and Riverside nachos in their new home! I believe that is a gazania, or “treasure flower” — which seems like such an apt name in this instance, doesn’t it?